Beginning with the iconic saxophone solo from Careless Whisper, the Perth Symphony Orchestra and the WAAPA gospel choir recreated a selection of George Michael’s considerable back catalogue at the Astor Theatre. At the beginning of the evening a fairly sedate audience who weren’t afraid to shush some of the rowdier patrons in the audience during some of the mid-tempo ballads were brought to their feet with lighters in the air by the curtain call. Led by WAAPA’s head of contemporary voice Matt Allen, the ensemble worked their way through a tribute to some of the most enduring songs in the pop playbook. Working with a range of vocalists the orchestra and choir re-imagined hits like Faith, Freedom and Last Christmas in an acknowledgement of Michael’s musical legacy. Echoing Adele’s Grammy tribute following his passing last December the evening took the crowd on an emotional journey that included the playful nostalgia of Wake Me Up Before You Go Go and I’m Your Man. When the arrangements were paired down, 90’s disco tracks like Too Funky and Fastlove were transformed into soulful renderings that had the audience in a unanimous standing ovation. The encore numbers Father Figure and Freedom were delivered in epic gospel style that served as a fitting tribute to a man who rocked a generation with a leather jacket and a pair of mirrored Aviators like nobody since Elvis Presley first claimed You Ain’t Nothin’ But a Hound Dog. 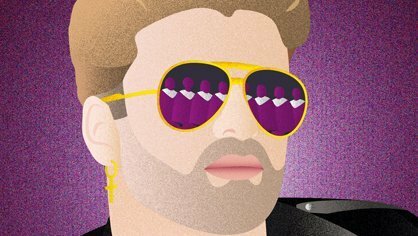 What this showcase brought back to life was the wit, humanity and mastery of musical storytelling that George Michael was capable of and his contribution to the tapestry of pop, rock and soul will be sorely missed. It’s thanks to night’s like this that the man who asked to be listened to without prejudice may be gone but will not be forgotten.